Building on the success of the Mini Vault range, Securikey has now launched a compact and affordable solution to your storage needs with the Micro Vault, available in two sizes. 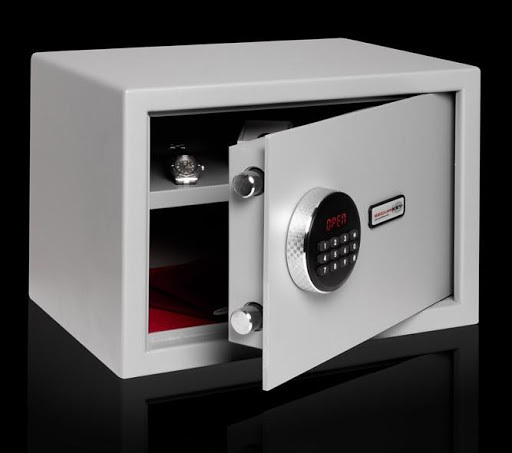 The Micro Vault has a cash rating of £1,000 which gives security protection for yourvaluables, cash and important documents. The larger size has a choice of two locking options; an electronic lock with LED display or a user-friendly key lock. Perfect for domestic environments like home offices, the Micro Vault is available in adiscreet grey powder coated paint finish with red carpeted base as standard. For over 40 years Securikey has been a trusted partner of many UK companies and institutions, supplying a comprehensive range of innovative security and safety products which encompasses cash safes, fire safes, key control systems, padlocks and personal security items, convex mirrors and digital door locks.